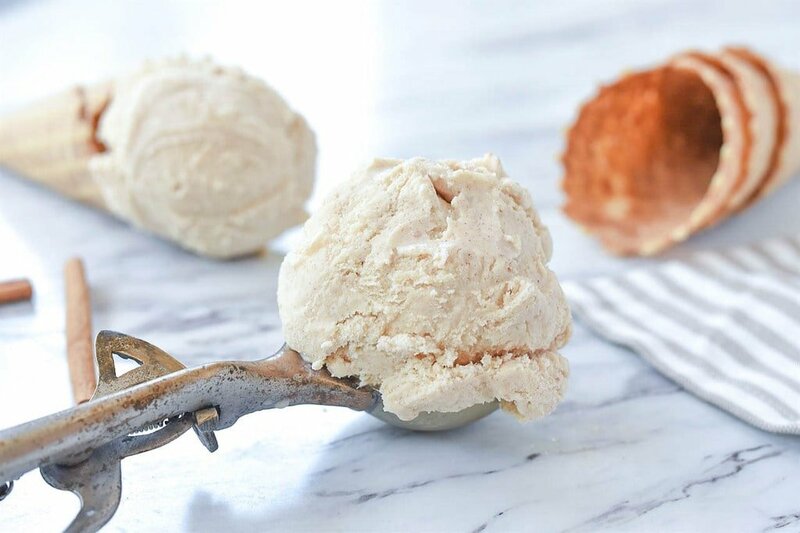 Homemade ice cream is fun to make and delicious to eat. 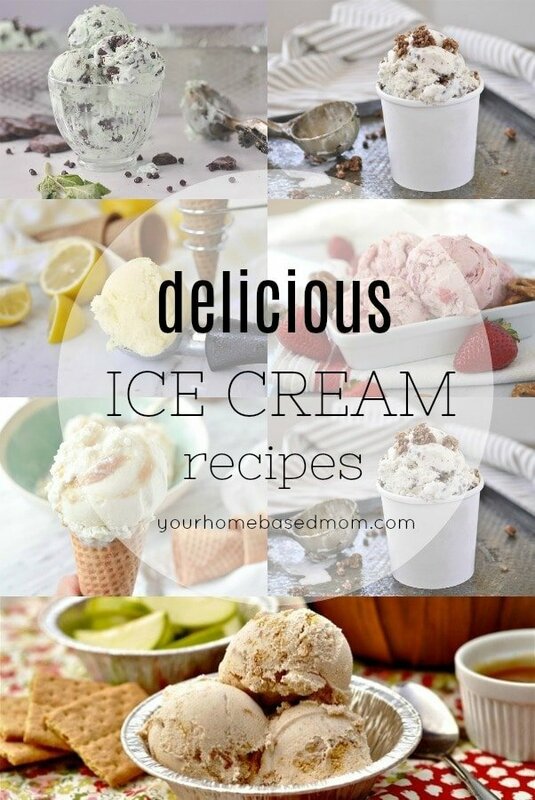 Here is a collection of my favorite homemade ice cream recipes that you and your family will love! When you make ice cream, the key is to start with a homemade vanilla ice cream base that you love. There are so many ingredients that you can add. My favorite vanilla ice cream recipe is what we use to make vanilla, chocolate chip, cookies and cream, and countless other flavors. We make a lot of ice cream at our house. So I have tried a lot of ice cream recipes and shared all of the ones that we love here on the blog. Mint chip is always a family favorite at our house. 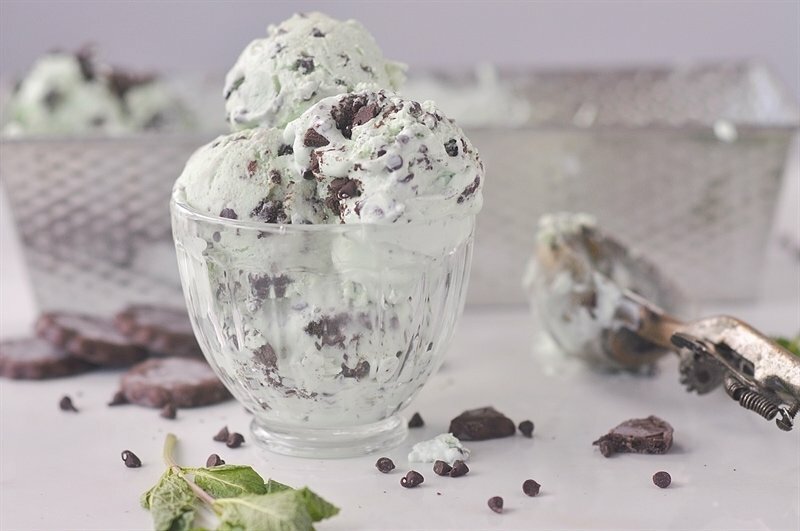 And you don’t even need an ice cream maker for this no churn mint chocolate chip ice cream recipe. Or maybe you are more of a fruit flavored ice cream person? 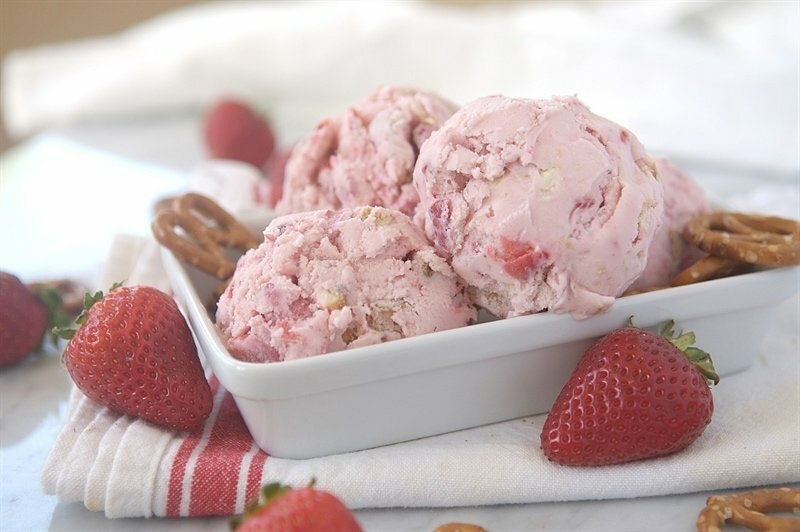 Then you should try my raspberry ice cream, peach ice cream, or this strawberry pretzel ice cream. It was inspired by our family favorite strawberry pretzel salad. 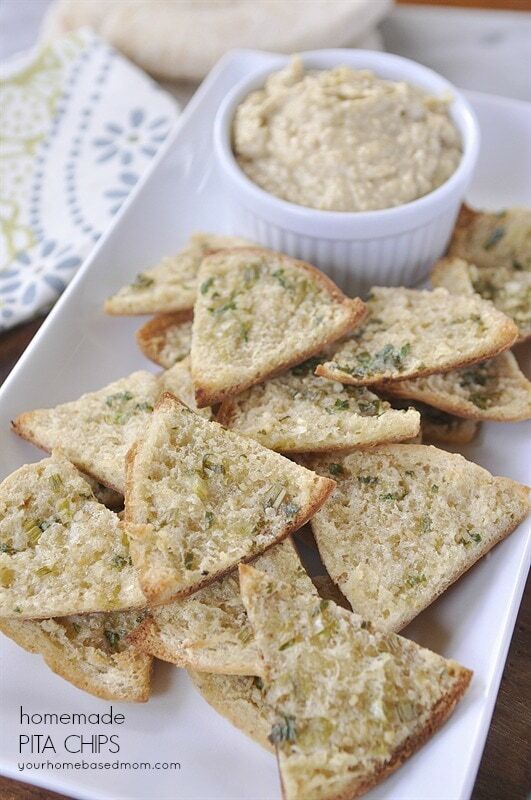 The combination may sound strange, but I promise you will love it. 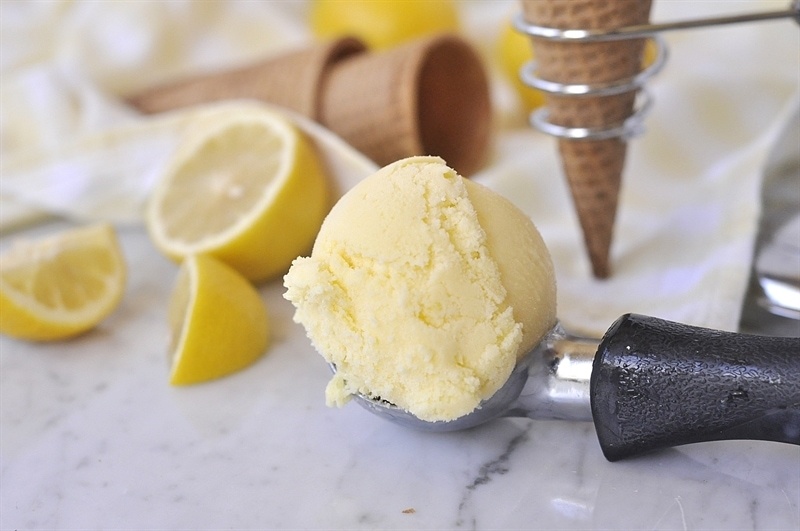 Nothing screams summer like lemonade ice cream. And if you are looking for a fruity, dairy free option, lemon sorbet is a great choice too. 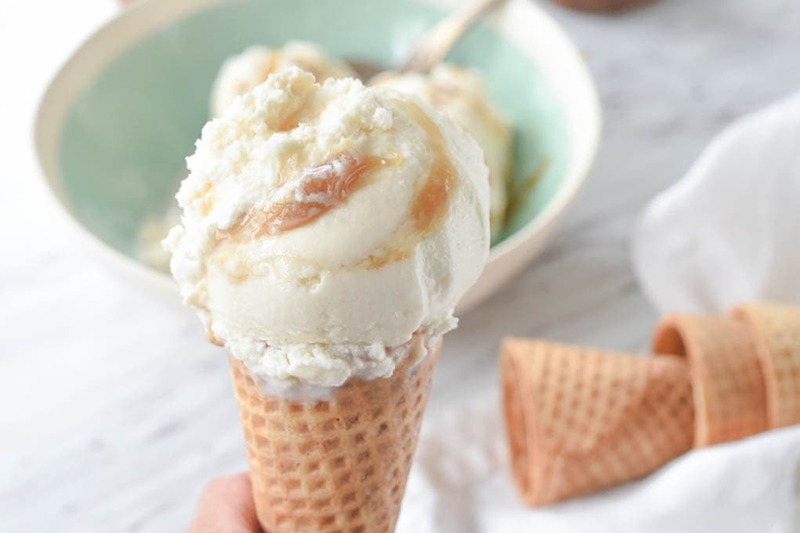 One of my personal favorites is this homemade salted caramel ice cream. The perfect combination of salty and sweet, it is a must try for all caramel lovers. If you are an oatmeal cookie lover, you will want to try one of my favorites, this cinnamon oatmeal cookie ice cream. And what is a list of ice cream recipes without some chocolatey goodness. 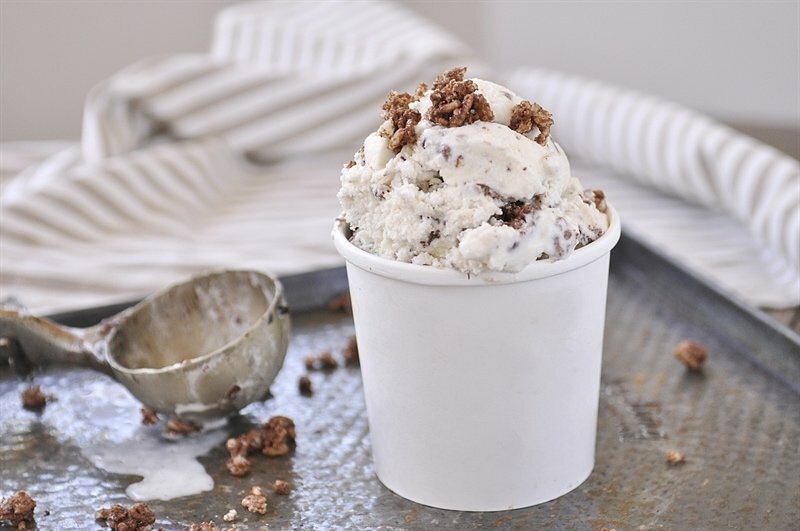 This Nutella Ice Cream is a fun combination of chocolate, hazelnut, and a surprise crispy crunch. And just because the weather will be cooling off soon, that is no reason to put away the ice cream maker. 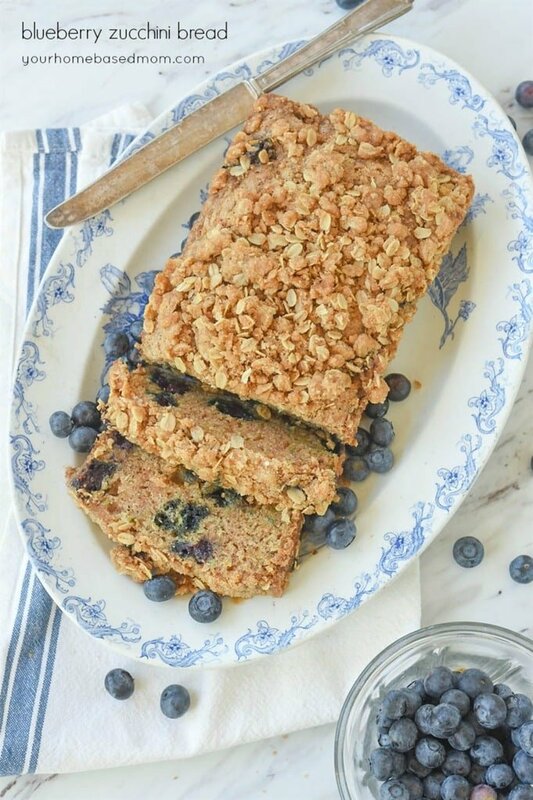 These flavors are delicious, not only in the summer time, but make a perfect combination with some of your favorite fall treats. 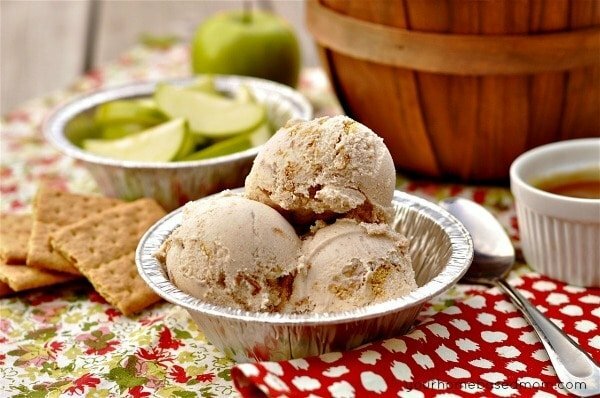 Cinnamon Ice Cream is the perfect partner for apple pie. But so is Maple Ice Cream. So you might need to make both. Or you can skip the pie and just have Apple Pie Ice Cream. And what is Fall without pumpkin flavored everything? The perfect time to enjoy Pumpkin Pie Ice Cream. There are just too many delicious ice cream recipes to list, so make sure to check out all of the ice cream posts on my blog. You will find ideas for milkshakes and ice cream pie as well as more delicious ice cream flavors! ICE CREAM MAKER: This 2 qt. Counter top ice cream maker is one of my favorite kitchen appliances and gets used all summer long! INSULATED ICE CREAM TUB: After churning my ice cream I put it into this and then into the freezer. It keeps the ice cream smooth and easy to scoop.